Reality, and your perceptions of reality are often two different things. You are wise to recognize that sometimes your perceptions can’t be trusted, and must be examined… even challenged. Those are the undeniable facts. Yet, the average person’s opinion of the state of the world is much more pessimistic and worried. What’s going on here? Why are people drawing conclusions that are the exact opposite of the facts? I’m glad you asked. There is a phenomenon going on that you must understand and address in your life if you are going to experience a better, more hopeful life (that is rooted in reality). Here’s what is so strange: when researchers surveyed people’s perception of their immediate personal situation, they were generally hopeful and even upbeat. In this case, their perceptions did align with reality about the general improvement in living conditions. 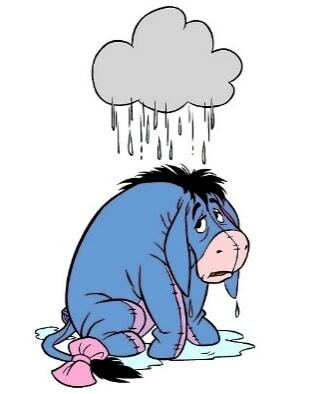 But, when you ask them about the state of the world or their nation, that all changes.As Pinker describes it, they switch from a hopeful Pollyanna to a gloomy Eeyore. What is causing people to perceive positive facts in a negative light? 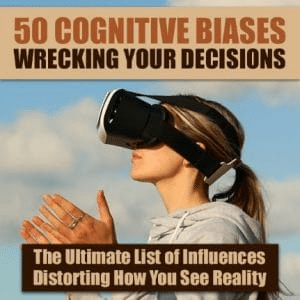 One contributing factor is that humans are hard wired with a negativity bias.You can go here to read all about how it distorts your perceptions of reality (and how you can counteract it). Although the negativity bias impacts this paradox, it is not at the root of what’s going on here. The root cause of this paradox is related to the phenomenon called the focusing illusion. The focusing illusion heightens the prominence and importance of that which you are focusing on. Go here to read how the focusing illusion can make you miserable (and how you can actually leverage it for greater joy in life). Many of us are exposed to news stories that the news outlets believe will get our attention (and as a result, we focus on). Their mantra is often “If it bleeds, it leads” the reporting. As Pinker reports, this is the nature of “newsworthy” news. In fairness to the news organizations, they serve us a steady diet of this “newsworthy” news because it is the stuff we tend to be most interested in (and pass on to friends and family). The nature of news (featuring the tragic and dramatic) has skewed our perception about risks. Our perceptions about risk are impacted less by statistics and the truth, and more by images and stories. The “newsworthy” problem has also been made much worse by our interconnected world. For example, if you lived in a small town 100 years ago, the extent of the news you were exposed to was what happened (good and bad) in that town and the immediate surrounding areas. The Brown family lost a child to Scarlett Fever. In contrast, these days we hear about EVERY bad thing going on EVERYWHERE in the country and even the world. It is easy to believe that war, death, natural disaster and every form of tragedy happen ALL the time. No wonder people conclude the world is a much more dangerous place than it used to be. 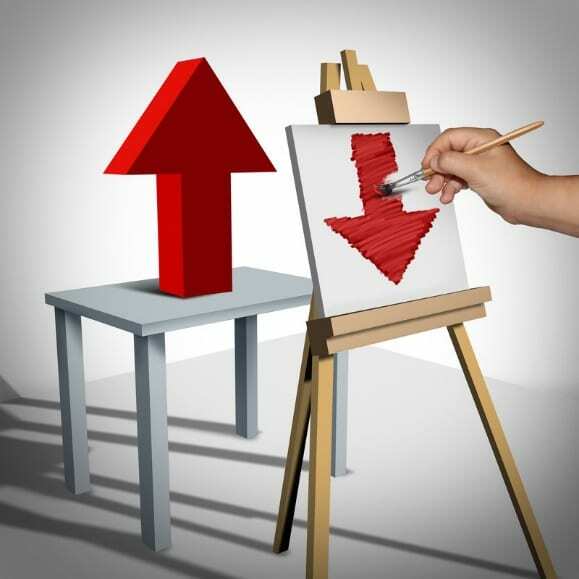 Want to learn about more of the hidden influences distorting your perceptions? How can you reduce the effects of these perception distortions… and see the world more as it is vs. how it seems to be? Limit Your Consumption Of News. This one is obvious, isn’t it? Because of the nature of news, I believe it is wise to limit how much news you are exposed to. This reduces the negative effects of the focusing illusion. Really, do you need to know about every bad thing going on in this world? There was a time in my life when I was a news junkie. I had to know the latest news so I could be the person “in the know” in conversations. I know many people who consume a steady diet of news… and are more fearful, anxious (even paranoid) people because of it. Limiting your exposure to news can help you return to a time in our society when we drew our conclusions about the world around us from our immediate experiences (not a compilation of the worst of life). Focus On What’s Good In The World. Our Creator, who desires that we experience a better, more meaningful life (see John 10:10), encourages us to focus our attention on those things in life that are “admirable, beautiful, praiseworthy, etc.” (see Philippians 4:8). You must do this intentionally. It takes effort and practice. But, when you do this, you are combatting your natural negativity bias, and not feeding your fears and worries. The change in my life from regularly following this practice has been dramatic… leading to a happier, more contented life. Surround Yourself With People Who See and Savor the Good In The World. Yes, it is good to limit your exposure to all the bad news out there, and to focus on what’s good. When you combine that with a healthy, hopeful human ecosystem around you, your more encouraging perceptions are reinforced and your natural negativity bias is kept in check. The result is a happier, healthier life. Just to be clear, I’m not suggesting you live in a fantasy world of positivity. There are risks and you are wise to heed danger. But, reality is often very different (and better) than our perceptions of reality. Just think about how many times you worry about a worst case scenario that rarely, if ever, happens. How things actually turn out in the future (reality) is rarely is bad as we fear (perceived reality). Why give fear more weight than it already has? If our perceptions of reality are so often and easily distorted by what we are exposed to, as well as our own internal filters, it would be wise for us to be less dogmatic and certain about our view of reality. Intellectual humility (which you can read about here in one of my recent articles), not only is the most sensible approach (IMHO) to interacting with the world we live in, it also offers a host of incredible benefits (e.g. making you more attractive to the people you encounter in life). Living a happier, fuller, more productive life requires intentional actions on your part. Just as you won’t lose weight and become a healthier person if you don’t pay attention to your food diet, so it is with your information diet… and what you focus on.